When I was 10 years old, I played my first competitive basketball game. I tied my laces, hoped for the best, and then came one of the most iconic phrases in history: “Float like a butterfly, sting like a bee”. I laughed as I waited for my dad to explain the meaning behind his pregame motivation. He said that a champion had made the famous remark and his name was Muhammad Ali, “The Greatest” . I paused for a minute and turned to him. How does a father explain to his 10-year-old the depth of Ali's eloquence and conviction in and out of the ring, the unwavering sense of will that drove him to become a cultural icon, the fiery passion of the infamous boxer who left his mark on the world. Ali passed away at age 74 on June 3, 2016 after a long battle with Parkinson's disease and the world is now reflecting on the very same question I had as a 10-year-old. He is one of the most celebrated sports icons of our generation, known for his superior legacy in the ring and his relentless desire to promote social justice. 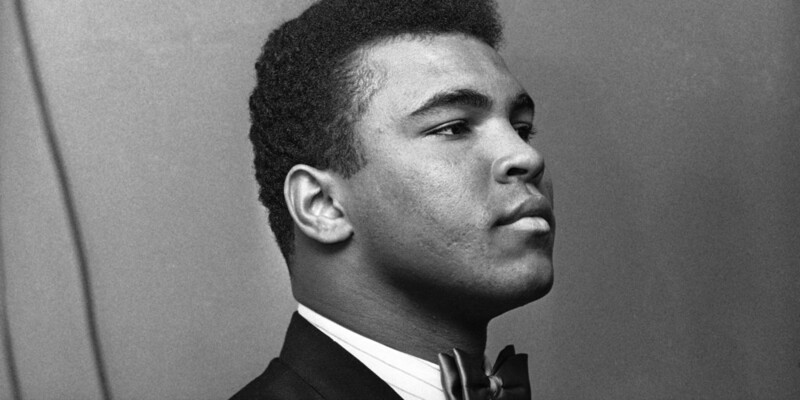 Muhammad Ali, originally named Cassius Marcellus Clay, was born in Louisville, Kentucky, and grew up with his younger brother Rahaman Ali, who also pursued a career in boxing. His pugnacious spirit was evident from the beginning of his career. Ali began training at 12 years old and just six years later, he won the Light Heavyweight gold medal in the 1960 Summer Olympics. Ali continued to dominate the boxing world as the only three-time lineal heavyweight champion, accumulating 37 knockouts and just five losses in his highly successful career. Each match was a cryptic guessing game as he instilled paralyzing fear in his opponents. He was known to be meticulous in his strategy and could single handedly select what round would determine his competitor’s terrorizing fate. He delivered knockouts at will and still, that was not enough for the legend who was engaged in full fledged attack mode. Being a reigning champion did not just mean ending the fight with a victory. The world was his audience and he was center stage; he wanted people to know just how ruthless he was in the ring. With each thunderous punch, he dared others to question his glory and undoubtedly claimed his title as the greatest to ever put on the gloves. Perhaps one of Ali’s most memorable matches was the historic 1974 fight against renowned boxer George Foreman. Known as “The Rumble In the Jungle”, the match took place in Kinshasa, Zaire and is considered "the greatest sporting event of the 20th century” by countless sports figures. It was a highly anticipated event and the world prepared for a death match as two of the most viscous competitors prepared for the fight of their lives. A testament to his will and strength, Ali was punched numerous times and remained standing, hungry for more. Ali ended the fight with an eighth round knockout that sent the boxing world into a frenzy. Foreman could not believe he entered the fight with two title belts and came out with shuttering eyes, waking up from a blurred nightmare. Ali and Foreman later became a dynamic duo as the two of the most exhilarating boxers to ever compete. As a lifelong friend, Foreman wanted the world to know that Ali was not just a fighter in the ring. Ali devoted his life to giving a voice to the powerless and acted in the interest of peace for mankind. In 1966, Ali stirred up controversy for his persistent opposition to the draft. He refused to serve in the U.S. military, citing his religious beliefs as a newly devout Muslim. He publicly expressed opposition to the country’s role in the Vietnam War and was later arrested for not complying with the government. Ali was found guilty of draft evasion charges and stripped of his boxing titles, but later appealed. Although a lot of public figures were displeased with his controversial acts, it also inspired a wave of young African Americans to resist demeaning authority. He was not only a driving force behind the Civil Rights Movement, but also an advocate for global peace. As just one of his many goodwill missions toward bettering the world, Ali went to Afghanistan in 2002 as the "U.N. Messenger of Peace”. His killer mentality in the ring is only matched with his constant desire to proliferate human kindness and unity. “Muhammad Ali shook up the world. And the world is better for it. We are all better for it,” President Obama said. I’ll tell them that he was a cold-blooded fighter who could put electrifying fear in any opponent and that he was also one of the most gentle souls the world has ever known.